Just the two of you this Thanksgiving? I’ve been there. Turns out, one of the big disadvantages of moving 3,000 miles away from your friends and family for a job that might actually get busier on holidays can really cramp your holiday style. Or maybe you’re a single mom with one child going it alone for the first time. Either way, it doesn’t mean you have to skip the holiday to avoid all those leftovers or hit up the local Luby’s. You can absolutely have Thanksgiving with your cherished fixin’s with just a little planning and these tips straight from someone who’s done it before. First, you have to come to terms with the fact that two people can only eat so much food. Having leftovers for one day is great, but they get old by day three or four. So decide whether you’re going with fewer sides or with smaller-portioned versions of more dishes. Now, sit down with your other half and make a list. Items you can’t live without go in one column and items you want but could live without go in the other. Discuss, argue, makeup, compromise and get that menu set. Remember, each of you may have your own family traditions, so the compromise step is key. Try variations on your faves that work better for two people. For example, marshmallow-stuffed Hasselback sweet potatoes are a great alternative to a whole dish of sweet potato casserole. If you make only one to share, you can plan for more sides. Hit the internet and search for “[name of your recipe] for two.” Even if you’re committed to your own recipe, it could give you an idea for how to tweak it. Collect your recipes well in advance. If your MIL’s stuffing is on your guy’s list, make sure you reach out to her well in advance to get it, plus any tips she may have. If you’re cutting recipes, there are apps and online tools to help you with proportions. Check out Fruit from Washington’s recipe calculator, My Kitchen Calculator and Google Calculator. Things like stuffing, sweet potato casserole or candied yams, mashed potatoes, veggie sides, mac and cheese and even broccoli-cheese casserole are easier than you might think to cut significantly. Cooking for two may require smaller dishes if you’re cutting recipes, so make a list of supplies you’ll need for each recipe. Go online, to IKEA or to your local restaurant supply store to stock up on baking ramekins, small bowls and even smaller pots and pans if you need them. Give yourself extra time for grocery shopping. If you’re living in a different region of the country than in years past, you may have a harder time tracking down specialty ingredients for family recipes. Obviously, a 15-pound gobbler is way too much food for two. 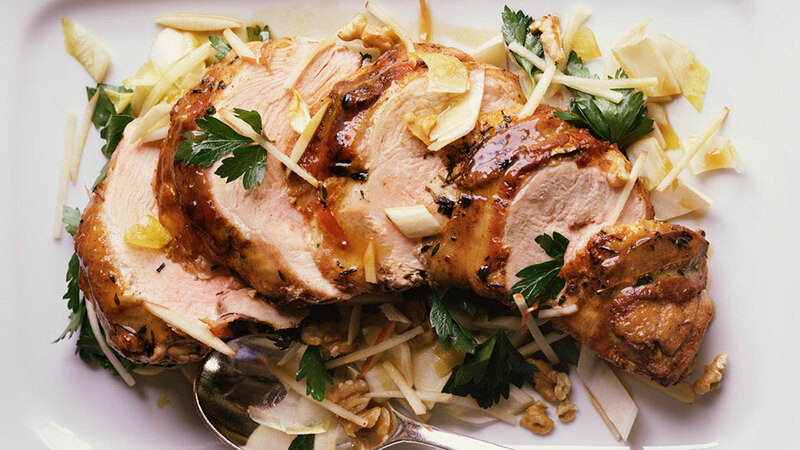 Even if you want leftovers, every pound of bone-in turkey is a serving for one person. But you have options. Look for a dessert that’s easy to assemble for just two, like Mason jar desserts. Another option is to coordinate baking with a friend: Both of you makes a different dessert and you exchange half of each. If pies are your game, there’s also a pie pan that allows you to make split pies (Amazon, $11) — because this is America and of course someone already thought of that because we’ve been arguing over which pie to make since 1621. Leftover poultry can be used to make soups, enchiladas and more or even shredded or chopped and smothered in barbecue sauce for a sandwich or chopped baker. Leftover rolls can be frozen and reheated later or even eaten for breakfast with leftover cranberry sauce instead of jelly. Got half or three-quarters of a can of leftover mushroom soup? Cut another casserole that uses it to that size and make it later in the week. Leftover deviled eggs can be chopped up, mixed and used for egg salad sandwiches. 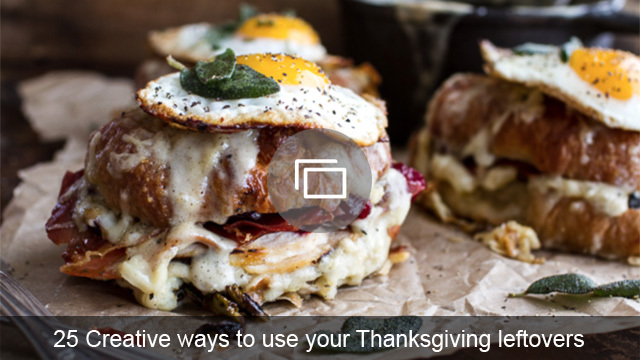 Get creative and it won’t feel like you’re eating leftovers.